《The Eternal Love 2》Ep25：Mo YiHuai designed to expose the true face of Liu Shang. Eight princes, Liu Shang, were framed and both were imprisoned. Late at night, prince study. According to jingkang mo Mo YiHuai < / p > < p > plan, borrow eight wang fu soldiers because eight wang ye was attacked during the chaos, steal the imperial decree from inside the house. Mo YiHuai confirmed Liu Shang The real identity, determined to use the assassination of the previous emperor completely pull down eight wang ye. Eight wang fu, qu small sandalwood embrace chest serious injury of Mo LianCheng Tears did not stop, the eight princes in the side of the heart guilt unceasingly, Mo LianCheng comfort himself is not belong to the people here, perhaps today's difficulties can be put right, but his heart has always not put tan er. Seeing Mo LianCheng seriously injured and unconscious, Yu Hao < / p > < p > to report that someone took advantage of the chaos stole the emperor's order, and the only thing that can save Mo LianCheng stream in the doorway, tan son to ask him to come in. After the arrival of thousands of rivers, the eight princes first advised qu xiaodan to leave, and transmitted part of his spirit to Mo LianCheng in accordance with the previous method. This time, he saw the memory of Mo LianCheng again, which was clear from the ups and downs of the two men in the last life to the modern vicissitude. Imperceptibly, two lines of clear tears fell from the eyes of the eight princes, and he was convinced of the identity of Mo LianCheng in his heart. Early in the morning of the next day, qu and Mo LianCheng were chatting in the yard. The eight lords came to the snow yard and accidentally told him that they knew the past of Mo LianCheng and Mo LianCheng completely, which made him feel like being eaten by others. Eight report for two people first song call Mo small tan LianCheng "dead niang gun" and she had many times to ask for a certificate of divorce is not very understanding, Mo LianCheng intentionally distorts the performance of the way this is two people love, listen to music small tan again spirit again funny, don't go down his left, but her with a bell on the corner is met d, then being crazy dizzy. Eight lords and Liu Shang were very worried when they heard the news. At that time, the father xue of the palace suddenly called Liu Shang to the palace to see her. Eight lords felt uneasy, but they had to watch Liu Shang leave. < / p > < p > the emperor took Liu Shang and his party to a stone bridge surrounded by water in the palace, a man in black suddenly appeared on the opposite side, will be in a coma qu xiaotong thrown into the water, Liu Shang was surprised, so he jumped into the water directly, although timely qu xiaotong rescued, the face of the human skin mask because of the water fell. Originally, this is Mo YiHuai deliberately set a trap to expose his true face. 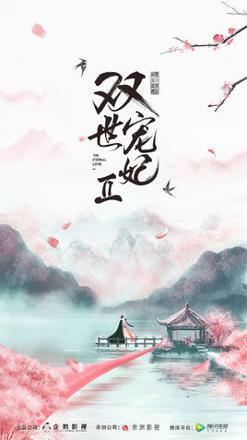 < / p > < p > the emperor looked at the eyes of the same eight princes are very shocked, Mo YiHuai saw the purpose to achieve, take the initiative to admit that the garden is their own set, the purpose is not to let the emperor continue to be cheated. The assassination of the emperor last time, eight wang ye because the chest did not hurt to wash off the innocence, I am afraid that someone did perjury, now as long as the two people again see whether chest injury, you can know the truth. Mo LianCheng heart know two people have completely fallen into the prince's trap, take the initiative to undress his chest tattoo and wound, the emperor really angry, let the eight lords hand over the emperor order, the eight lords helpless way emperor order stolen a few days ago, the emperor heard this is more fuel, ordered the two people to heaven prison, no one visit. Qu xiaotan wakes up from the Jing Xin < / p > < p > mouth learned that the prince used himself to uncover the true face of Liu Shang, the emperor will eight wang ye and Mo LianCheng into the day prison is very anxious, she rushed to go to prison, fortunately Jing Xin told her that the 14th has to find the queen mother to discuss ways to appease her down. Mo YiHuai and his courteers wanted to place the assassination charge on the eight lords, so that he could not turn over completely. The eight lords in the prison and Mo LianCheng were not really alarmed. Mo LianCheng suddenly asked the eight lords if he had seen his past with tan 'er before the exchange of yuanshen, and whether he had even seen all the bridal chamber. The eight lords hesitated to explain that they had only seen some fragments, and the tense atmosphere suddenly relaxed. The eight lords saw Mo LianCheng had the opportunity to leave dongyue before, but he gave up the rare opportunity because of saving dongyue, so he completely put down his suspicion of Mo LianCheng. Mo LianCheng really sighed that he might disappear at any time, if one day, I hope the eight lords can protect sandalwood I safe, think about it, two people decided to escape from the prison as soon as possible, otherwise Mo YiHuai will do anything to kill them. < / p > < p > on the other side, the emperor listened to the recommendations of the ministers are ready to judge the eight princes culpability, punishment for his life in prison, the queen mother suddenly appeared interrupted him, she pointed out that the eight princes that day is a decree into the palace, there must be a catch, the emperor had to order the prince and fourteen joint investigation of the eight princes conspiracy against the case.